The comparison between analog and digital meters comes down to one word: precision. Most situations call for as precise a reading as possible, making a digital meter the better choice. However, instead of a single precise reading, some instances call for finding out a range of readings, making an analog meter the better choice. Analog or Digital: Which is Better? With a precise liquid-crystal display (LCD) readout, digital meters are typically seen as more modern and generally better than analog meters. However, there are times when "old school" analog is simply the better choice. 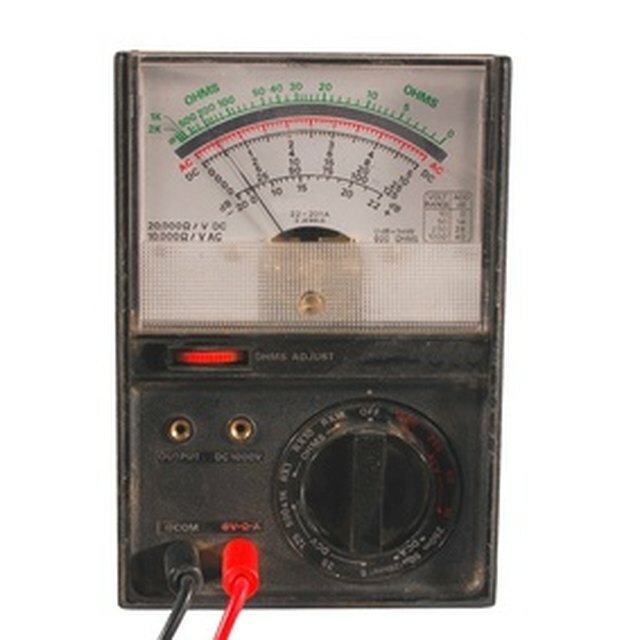 For example, when a multimeter is used to measure electrical current, the current can fluctuate without warning. This means that an initial readout by a digital meter could be an inaccurate "snapshot" of the current being measured. Conversely, the moving needle of an analog meter provides a more complete picture of the current and its fluctuations. Tester.co.uk: Digital and Analogue Multimeters: Which Is Better? Is There a Difference Between a Male and a Female Roadrunner? Smith, Brett. "Advantages & Disadvantages of Digital Meters Vs. Analog Meters." Sciencing, https://sciencing.com/advantages-meters-vs-analog-meters-6325756.html. 13 March 2018.